These special sessions are for new families who want the first few hours of their newborn’s life captured without having their entire labour or birth documented. 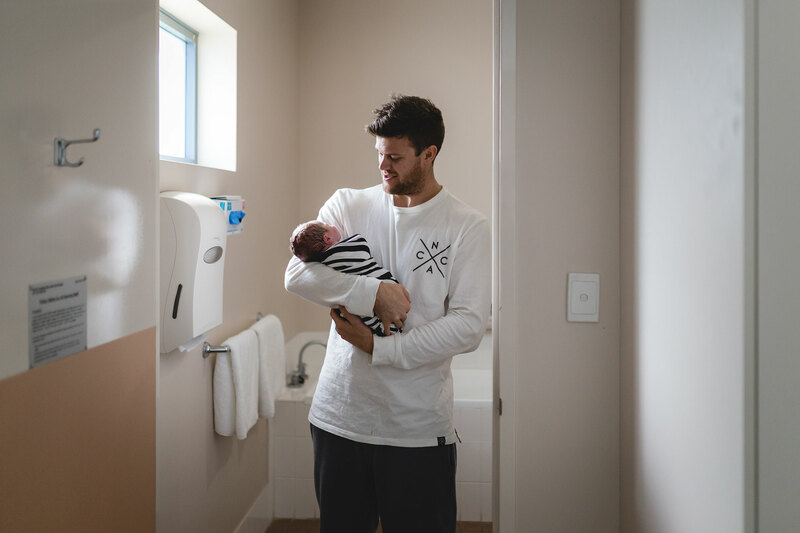 Held within the first 48 hours of your baby’s life, these lifestyle sessions are perfect for documenting the first precious moments between you and your little one forever! As passionate as I am about birth photography, I do understand that it isn’t for everyone. Whether it’s because of finances, medical concerns or the very concept of having your birth photographed that makes you run for the hills, I’m introducing the “Arrival” session as your perfect alternative! These sessions will appeal to new mums who want the chance to freshen up, have something to eat, and recover in private straight after their little ones birth. It also provides the perfect opportunity to organise siblings, relatives and close friends to visit and be a part of the memories. While I won’t be on call 24/7 as I would with a Birth Photography package, I am still on-call for the 2 weeks prior to your birth. “Arrival” sessions are pre-booked and held within the first two days after birth, during daytime hours only, as soon as you’re ready for me to come. Alternatively, I also offer in-home Newborn Photography sessions for those new parents who may like to take their time getting to know baby, and would prefer a session a little later. I recommend having a Newborn session within the first 2-3 weeks of baby’s arrival. Please note: A 50% non-refundable retainer is required upon booking, with the remaining balance due prior to your due date.